Scroll Down to see customer-provided photos. 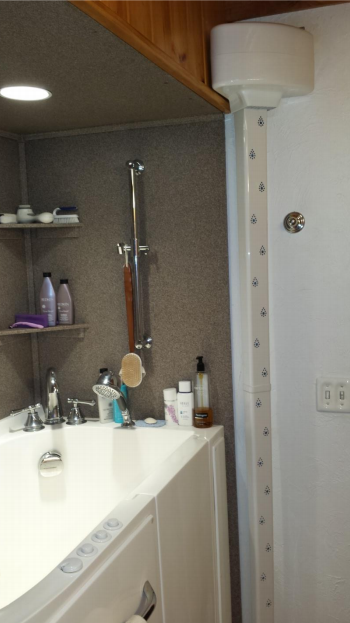 Can you find a towel rack in this shower? NO!! Damp, smelly towels…and laundering them…are a thing of the past! Join us in eliminating towels and high laundry bills to conserve water and protect our environment. No more bending, stretching…and falling for the elderly to dry their backs and legs. 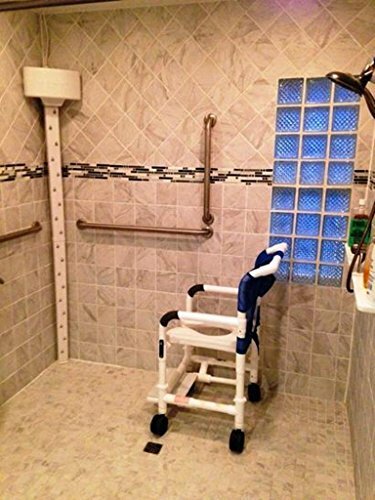 Customers with Physical Challenges/Disabilities and/or in wheelchairs dry while sitting. 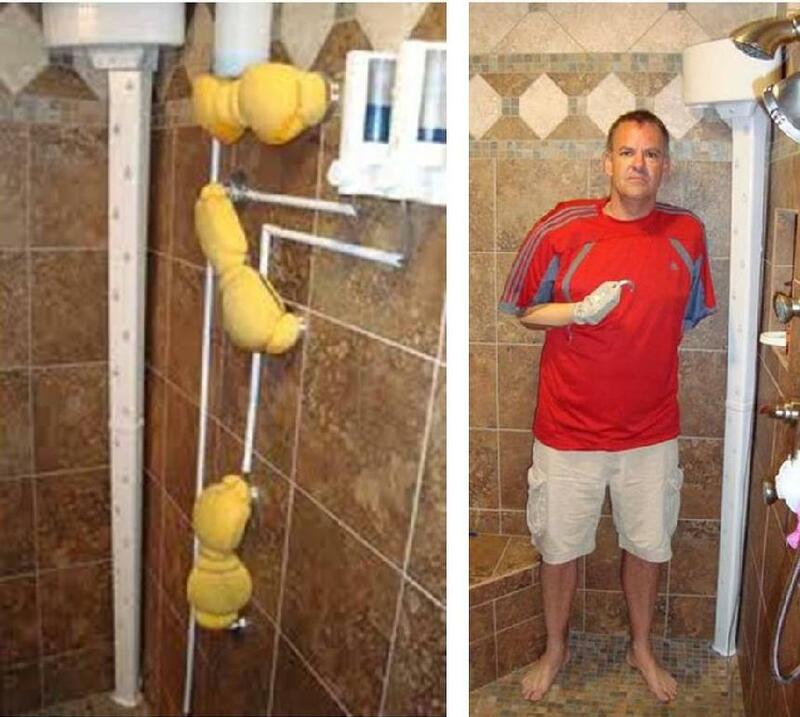 Amputees gain independence…and even more by adding our optional body washing system. 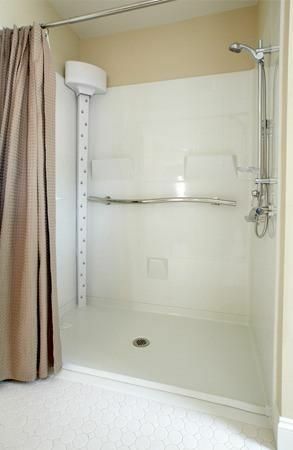 Many wounded warriors use the Tornado Body Dryer and the VA has purchased dryers for qualified veterans. Perfect complement to a Walk-In Tub. An Occupational Therapist’s personal Tornado Body Dryer. 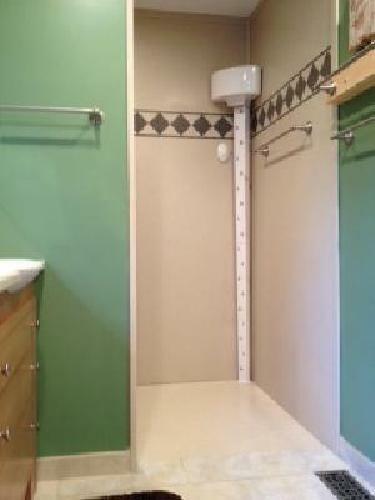 The above Pre-Fab, Roll-In Shower with the dryer was featured on the Nate Berkus TV Show. 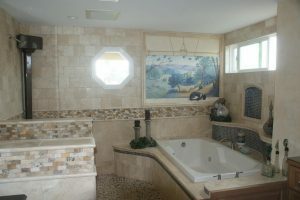 Did you know the Tornado Body Dryer was featured in a TV episode of The King of Thrones? 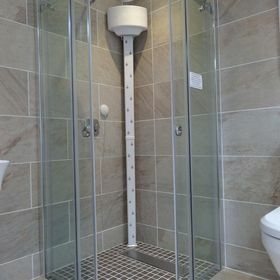 Some call it a “Shower Dryer” since it dries their shower in addition to their bodies. 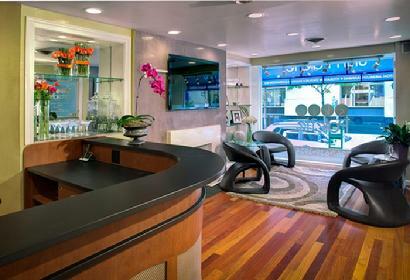 This is an airbrush tanning room that includes a Tornado Body Dryer and a hand-held water sprayer used to wash down the area after use. Government Buyers: Tornado Body Dryer, LLC is registered in the Federal Government’s System for Award Management (SAM) as Tornado Body Dryer, LLC, a (100%) Veteran-Owned Small Business, DUNS Number 832971522 and CAGE Code 6LF48. Payment accepted via PayPal, major credit card, or a corporate or government check. International Wire Transfer of Funds is also accepted for overseas purchases. Return to Top to Buy Your Dryer Now!